Frozen water pipes? No problem! Hamilton Plumbing will come as soon as you contact us to fix your burst or frozen water pipe. Winters in Ontario can be brutal, especially with older piping and plumbing systems. Don’t let frozen water pipes get the better of you. We are highly trained to get your pipes unfrozen in no time at all. We use all types of methods, from the simplest to more complex techniques. Because we have been serving clients in the Hamilton area for years, we can guarantee we’ll arrive promptly, and get your pipes flowing and working again. 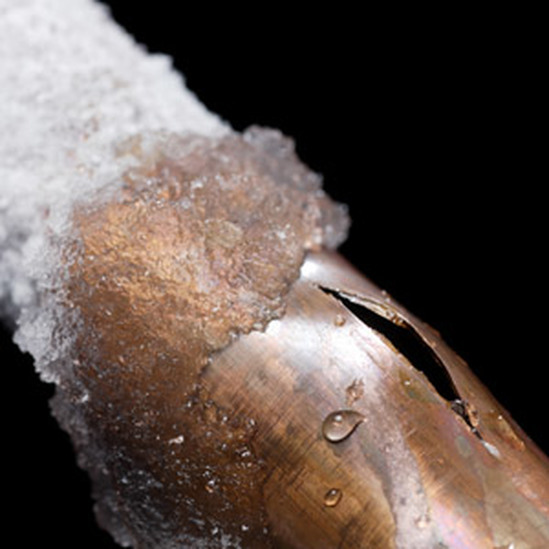 Frozen water pipes can greatly disrupt function and order in your day. It’s a non-issue for us at Hamilton Plumbing. Give us a call, and we’ll be there A.S.A.P. If you’re wondering how superior Hamilton plumbers are to other companies in the area, it only takes one encounter with us to see the difference. We are easily assessable either on line or by phone with the number listed above. We communicate with our customers immediately, and there is no long wait time for contact. We keep our appointments, and are fully staffed, so we don’t overbook our expert plumbers. When a frozen water pipe interferes with your daily routine, you can trust someone will be there on the double. We not only treat you with respect and professionalism, but we make sure your water pipes are properly insulated, and any exposed lines are buried or protected from our harsh winter weather. Often when our clients call us, their water pipes have burst due to water pressure and cold temperatures. The effects can be quite messy and inconvenient. With everything else you have going on, dealing with a water issue is simply not on the agenda. We also provide assistance with cleanup! With our specialized plumbers and expert equipment, frozen or burst water pipes don’t stand a chance. While we are at your home or business you can even ask us about our service for fixing leaking faucets in Hamilton ON. You can trust our experience and professionalism. We know how cold the temperature can get here in Hamilton, and our plumbers are ready to provide preventative and maintenance measures to any plumbing system. We understand that unforeseen events can happen. That’s why we offer reliable emergency services. We are quick to respond and will send one of our specialist out to your home or business right away. 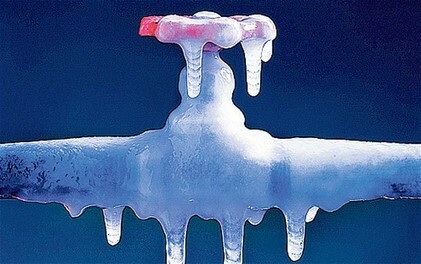 Give us a call the next time you find a burst or frozen water pipe issue. We are happy to assist you with all your plumbing needs. Simply fill out the form above, and see how fast one of our representatives can get in touch with you. Frozen water pipes don’t have to be an issue with proper insulation and maintenance. Give us a call to prevent water problems in Hamilton this winter!